The Northeast Rocky Mountain Region conducted their second annual region roundup on May 23rd through May 25th in Casper Wyoming. 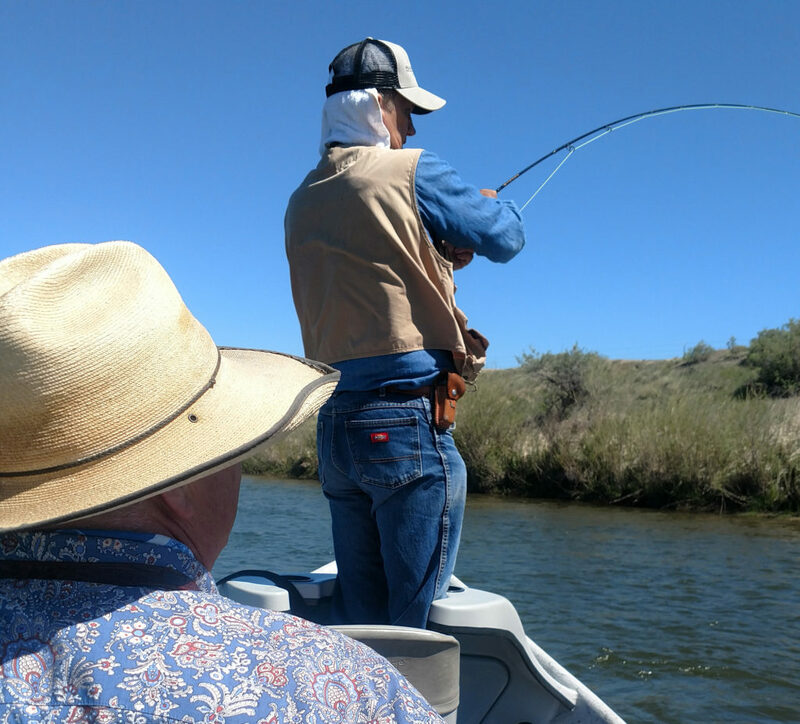 Sioux Falls participants Woody Baybridge and Casey Davidson joined veterans from programs in Casper WY, Sheridan WY, Rapid City SD, and Bismark ND to enjoy two days of guided fly fishing on the famed North Platte River. Participants arrived on May 23rd at the Ramkota Hotel in Casper to enjoy dinner and tell fish stories. Many of the veterans spoke candidly about the impact that Project Healing Waters Fly Fishing has had on their lives. One program participant shared with the group that fly fishing has become such a major part of his life that he applied for and received a scholarship to go to guide school so that he could guide other veterans on fly fishing trips. Others told stories about the program giving them a sense of purpose after extended periods of time shutting themselves in their homes and battling with depression. A common theme shared was the camaraderie enjoyed between the participants – many described the friends they’ve made through the program as a new family. 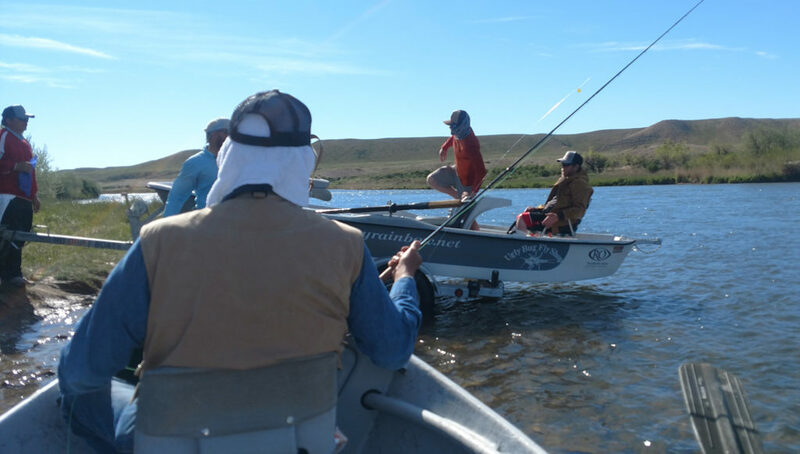 The next two days were spent drifting the North Platte River on guide boats provided by The Ugly Bug Fly Shop and Crazy Rainbow Lodge. The group consisted of 14 anglers who were paired off and joined by a guide for the day. The next eight hours were spent floating the river, drifting small flies through riffles and runs in hopes of catching a few of the numerous healthy rainbow and brown trout residing in the North Platte. Boats would drift past one another throughout the day as tangles, potty breaks, and fish landing opportunities arose and guides would yell back and forth trying to ascertain exactly what the fish were eating that day. Small rock worms, annelids, eggs, leeches, mayflies, and midges were all swapped in and out of anglers rigs as the guides were looking for the magic fly. A short lunch break was planned at noon each day where participants would enjoy a delicious homemade meal prepared by the Crazy Rainbow Lodge. Each day would come to an end with the veterans sharing highlights of the day and guides giving each other a thorough debriefing on what flies were working, which runs produced fish, what depth the flies were set at, and all the usual finer details of guiding. The group would reconvene for dinner at the Ramkota, giving each angler time to fabricate and embellish their stories. It was very clear that friendships and bonds were made in two days on the river that may have taken months form otherwise. A nine hour drive back to Sioux Falls allowed plenty of time for reflection and reliving the memories created on the trip. While the fish, friendships, and food are all easy to remember, it is often the small moments between these that create the most vivid memories. One special moment occurred at the end of the first day of fishing. Many of the anglers were exhausted from a day on the water, where their concentration and focus was pushed for eight hours, dinner had concluded and many participants quietly retreated to their rooms to get a little rest and relaxation in anticipation of the second day. Woody Baybridge, on the other hand, came back to his room and opened an old musical instrument case and proceeded to take out spool after spool of monofilament line and a white piece of legal paper covered in blue ink. “What are you up to, Woody?” I asked him. “I figured this week was kind of like a big workshop,” he said “so I was going to try to teach myself how to build my own leaders.” His enthusiasm for learning all the finer details of fly fishing was unmatched and I began to remember my early days of fly fishing that were marked with an intense desire for learning. I smiled and scooted my chair over to his desk and helped him cut monofilament and taught him how to tie blood knots and follow his leader formulas. Here was a man with the joy and inquisitiveness of a child who was genuinely in love with the appeals of fly fishing and I realized that Project Healing Waters had given him a precious gift. He tied two leaders and turned off the lights and we both went to sleep that night feeling joyful. 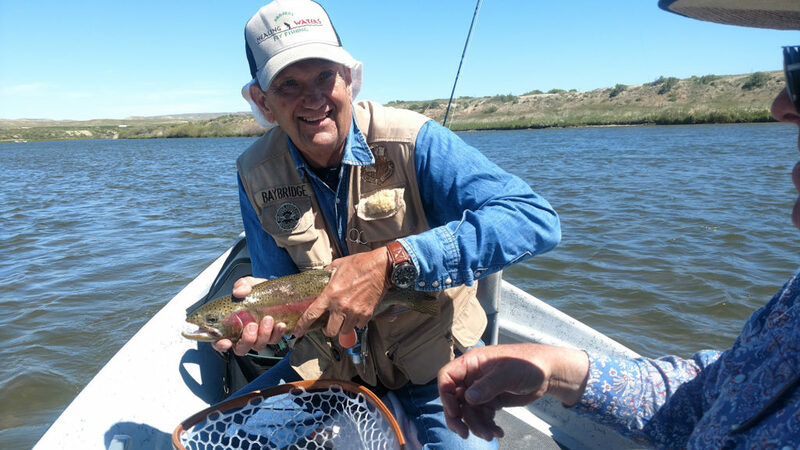 A special thanks to Derrick Dietz for organizing the trip, Ramkota for providing discounted lodging, and The Ugly Bug Fly Shop / Crazy Rainbow Lodge for provided the guides and drift boats. For those who would like to support Project Healing Waters Fly Fishing, please contact Nick Bentele at 605-201-1602 if you are interested in supporting the program with volunteer time, in-kind donations, financial contributions, or a referral of a disabled veteran or active military personnel.